2013 BMW 3-Series GT once again came under the sights of cameras. And, accordingly, meet another batch of spy photos of new items. As with most spy photos of the winter period, the new BMW caught during testing on a snowy highway. 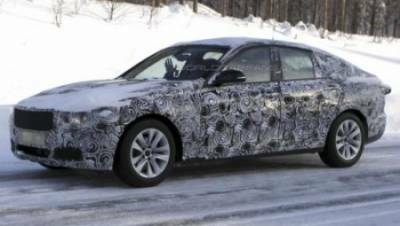 Although camouflage 2013 BMW 3-Series GT covers the body of the car, it's hard not to draw attention to the sport's profile. Alas, it is too early to draw conclusions about the appearance, as it may change. In the production of the new version will come only next year, so that the creators have time to spoil the design. While it may be, and vice versa, to improve. Some engines will likely include the 4 - and 6-cylinder power units. We can not exclude the appearance and hybrid options. It is expected that the 2013 BMW 3-Series GT will debut at the Paris Motor Show this year.